When an opportunity came to go to Ananda Assisi for a few months and work in the retreat kitchen, I jumped at the chance. For twelve years, I had been a critical care nurse. Now I wanted to get into a more holistic kind of healing. I also had some body problems of my own to solve – mainly a painful lower back that was beginning to get me down. Swamiji was living in Assisi at the time and I got to see him more than I ever had before—not that we had much free time even to attend his programs. Meals had to be ready just when the satsangs ended, so when Swamiji was in the Temple, usually I was in the kitchen. But I didn’t mind. It was good work and we had lots of fun. 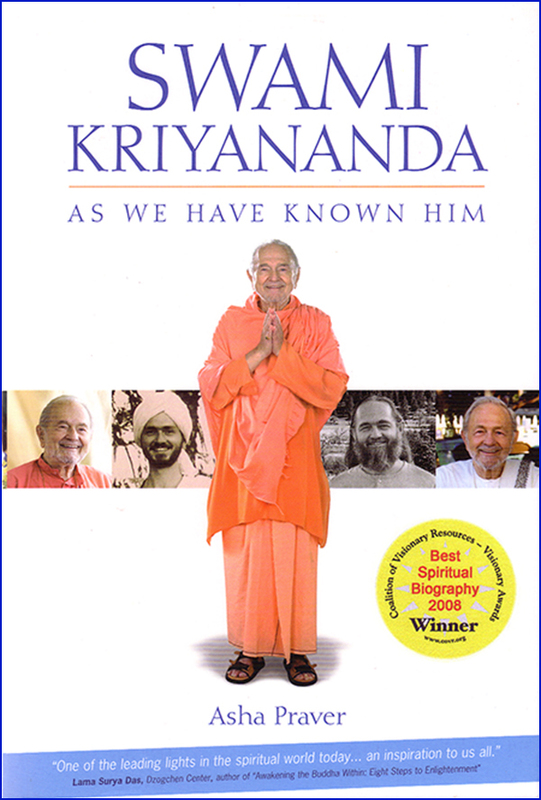 Swamiji’s house was a kilometer away from the Retreat center. When he came to the Temple, he parked his car on a little hill about 25 yards from the back door of the kitchen. Whenever we saw him pull in, the whole kitchen crew would come out the back door, wave our arms, flap our aprons, and call his name. One Sunday morning I was able to go to Service. Swamiji was a little unwell, and the only part of the Service he did was the inspirational talk. When that was over, he quietly exited. The Festival of Light was about to begin, but I felt drawn to leave the Temple and be with Swamiji the few minutes it would take him to walk to his car. I caught up with him just a few steps outside the door. To my surprise, he was alone. Usually someone escorts him. Just as I got there, for no apparent reason, Swamiji stumbled and started to fall. My nursing instincts kicked in and I caught him in my arms, saving him from a nasty spill. “Perhaps that’s why I felt to come out here,” I thought to myself. But God had more in store for me. Swamiji began to talk with me about some of what his body was going through. Bronchitis, irregular heartbeat, confusion with his medications that made him weak and light headed. Nothing surprised me. In my years of nursing I’d seen it all. What was unusual, though, was the way Swamiji spoke about it. He was so impersonal, as if the body he referred to belonged to someone else. It wasn’t just his manner of speaking. It was his whole vibration, as if he were looking down on himself from a distance away. Nurses take care of physical bodies. No matter how holistic we try to be, nursing gives you an intensely physical perspective on life. By that point in the conversation we had reached his car and Swamiji got in and drove away. I had come to Assisi in part to figure out what to do with my body. I hadn’t explained that to Swamiji but without my even asking he had solved the problem for me. He didn’t cure my back problem. He showed me how to relate to it. Yes, it is tiresome to have a body that doesn’t work properly. Even Swamiji feels that way. But what I also saw in him was just the quality I needed: detachment. Brother Donkey. Use the body, care for it appropriately, but never forget: You are not your body. You are one with the Infinite Spirit.